1. To make the dressing first blend the mustard, oil, vinegar and torn up basil leaves together in a large bowl. 2. 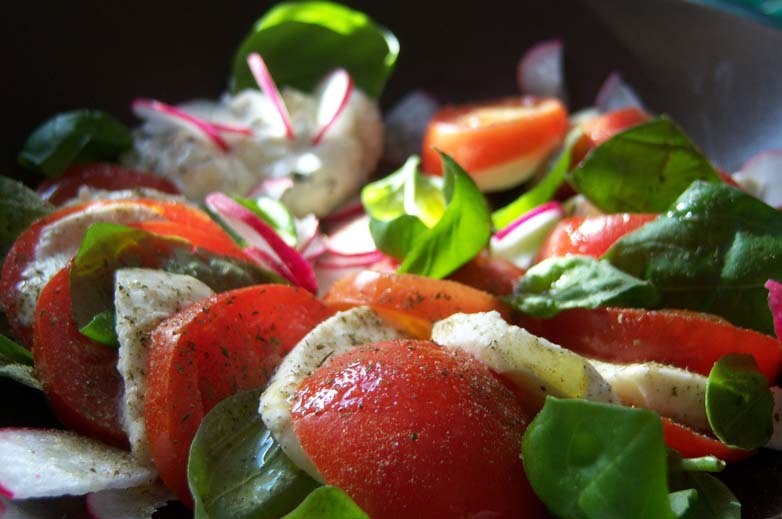 Add the buffalo mozzarella and tomatoes then mix well until the cheese and tomatoes are coated with dressing. Serve. Thank you to Helen Johnson for this recipe.